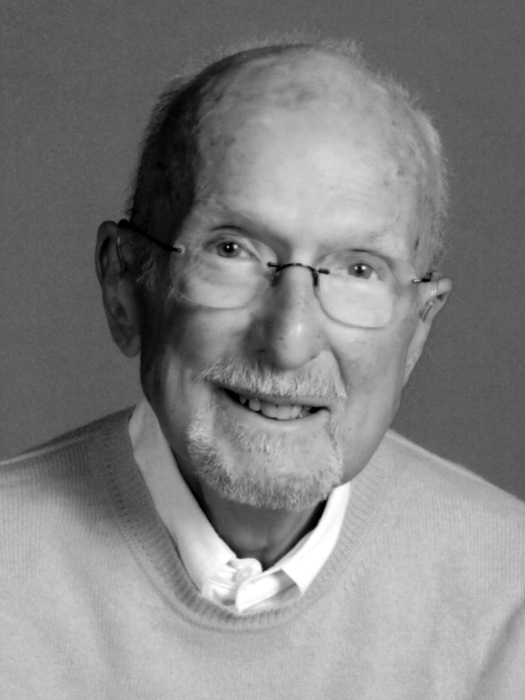 Malcolm Mackenzie Cutting died peacefully with his family all around him. He is survived by his wife Sara (nee Gill) and children: Richard (Margie), Malcolm II (Tracy), Melissa Keblusek (Tom), Molly Owens (Matt), and Alexander; nine grandchildren: Kathryn Thompson (Kevin), Paul and Becky, Grace and Malcolm III, Kathryn and Ellie, Emily and Abby, and one great grandson, Ben. He was the beloved husband of the late Kathryn (nee Lynch). He was born in Cleveland, Ohio to Richard and Jean Cutting. He was the dear brother of Nancy Cutting Young. He also was a beloved uncle and cousin. Malcolm graduated from the University of Arizona (pre-med) and Rice University (architecture). The bulk of Malcolm's professional life was spent in hospital architecture, designing clinics, laboratories, and hospitals in Texas, Indiana, and Ohio. Most notably, Malcolm spent 20 years as the Architect-in-Residence at the Cleveland Clinic where he was involved in master planning for the Clinic's future expansion which led to the construction of The Crile Building and several other facilities. After his retirement from the Cleveland Clinic, he consulted on several other health-related projects. He was a member of the American Institute of Architects and a member and chairman of the Institute's Academy of Architecture for Health. In his free time Malcolm and Sara travelled; he enjoyed time with family and many friends, and he produced artfully-crafted woodcarvings which he gave to family and friends. Malcolm also served the community with terms on the Boards of Trustees of Beechbrook, The MacGregor Home, and Judson Retirement Community. He was a proud Eagle Scout and a member of the Sons of the American Revolution and The Founders and Patriots of America. The family suggests that memorials be sent in his name to the Cleveland Clinic Hospice, 6801 Brecksville Road, Suite 10, Independence, OH 44131, giving@ccf.org, or to St. Paul's Episcopal Church, 2747 Fairmount Blvd., Cleveland Hts., OH 44106, where Funeral Services will be held Friday, December 7th at 11 AM.FRIENDS MAY CALL AT BROWN-FORWARD, 17022 CHAGRIN BLVD., SHAKER HTS., OH, THURSDAY, DECEMBER 6TH FROM 4-6 PM.